What Herbs Are Soothing For The Eyes? With the invention of the digital age comes tired, irritated eyes. Add to that stress a lack of sleep and our eyes tell the tale. Here are some common herbs that can be used to soothe the redness in the eye, and soften the delicate skin around the eye itself. To use herbs in and around the eye, caution is taken to keep them as pure as possible. Make a strong decoction of the herb, and strain twice to remove any bits that may be in the liquid. Use a gauze square or flannel square. Use these squares dipped into the decoction, and squeeze just enough so they are not sloppy. Find a place to lie down for 15, quiet minutes and try to relax. Calendula is a gentle herb for all parts of your skin. Calendula is soothing to both the inner and skin around the outer part of the eye. 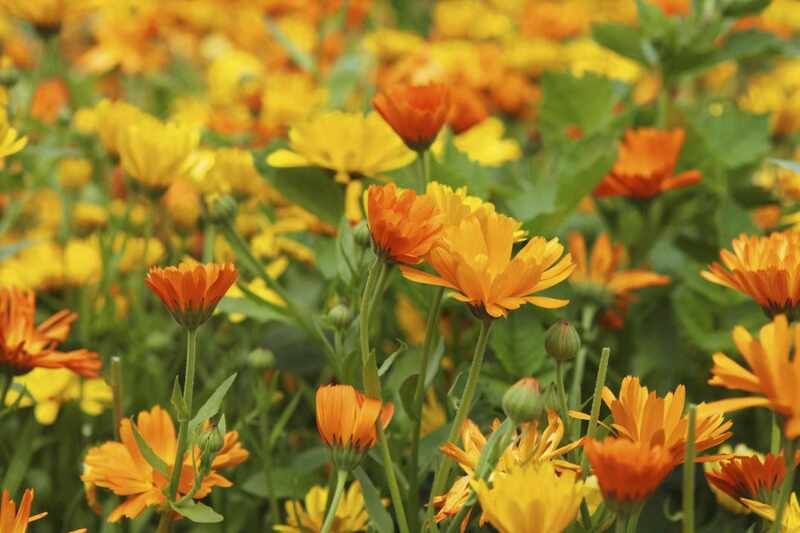 With calendula, use only the flower petals for making this infusion. Chamomile is notorious for being gentle and soothing. Use it as relief for your sunburned face, and since it will not irritate the eye itself, this is a great way to soothe that delicate skin. Chamomile can also help with eyes that are tired from overuse. The part of fennel used in this application is the seed. Slightly crush them using a mortar and pestle, and then make your decoction. Fennel seed is especially good for inflamed eyes. Mallow continues to be a useful herb to keep. Using it as a decoction around the eyes, and mallow will help soften that delicate skin. Dab it on with a piece of flannel or cotton ball, being careful not to stretch or pull the skin. Allow to dry. Mint is said to help reduce the dark circles under the eye. This is an infusion that I would not recommend getting into the eye. Use a cotton ball or flannel square to dab it carefully on the dark area. Basket of dried rose (Rosa) petals. Roses are much more than a pretty face. They are soothing and calming to the skin as well. 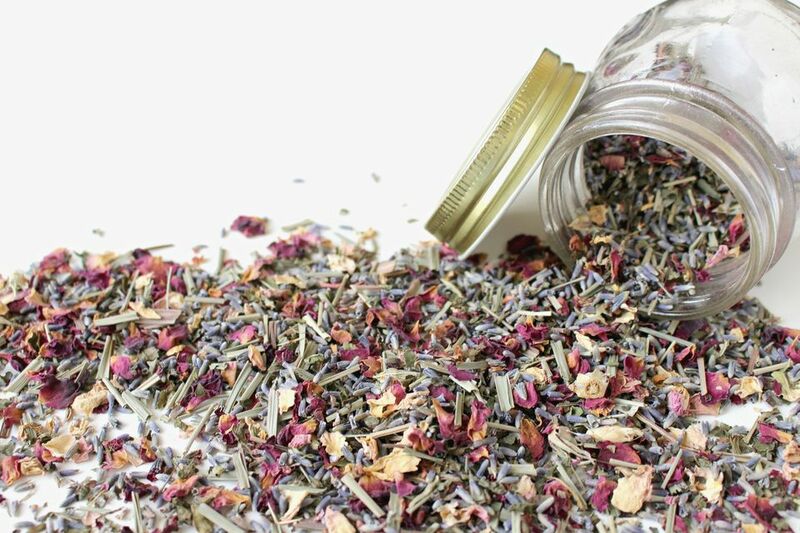 Use only your own roses or certified organic/wild rose petals for this. The ones you receive as a bouquet have been sprayed numerous times, with chemicals that you do not want on your skin.